What is cosmetic dentistry, and how is it different from general dentistry? Cosmetic dentistry combines both art and science to give you a healthy, aesthetic, flawless smile. 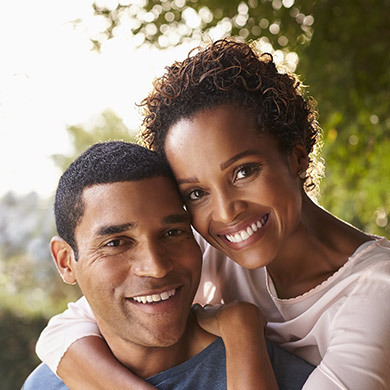 While general dentistry is aimed at maintaining the health of your teeth and gums, cosmetic dentistry provides comprehensive treatment options that improve and preserve the way your smile looks and feels. Why should I see a cosmetic dentist? A cosmetic dentist is trained to safely and effectively provide a variety of treatments that are designed to enhance your smile. If you have missing teeth, you feel that your teeth are crooked, or you're an adult looking for an alternative to braces, a cosmetic dentist can help you achieve the beautiful smile you've always wanted. How long will each cosmetic treatment take? Just as every smile we treat is unique, so are the treatments we provide. While cosmetic treatment times may vary, some treatments are completed within one office visit. Will my insurance cover cosmetic dental care? Insurance coverage and out-of-pocket expenses for cosmetic treatment vary. Our practice will work with you to provide several different treatment options, and we will coordinate with your insurance provider, if coverage is available. You will know all of your treatment costs up-front so that you can choose the best payment plan for your needs and your budget. Am I a good candidate for teeth whitening? Are there any side effects with teeth whitening? Nighttime whitening trays may cause additional gum sensitivity or irritation if too much whitening agent is used.